I’ve always liked to imagine that the Manic Street Preachers’ 1998 song ‘If you tolerate this your children will be next‘ was about the Daily Mail and the fact that if we’re not careful they’ll be putting out a daily junior edition to indoctrinate our children into their radicalised nonsensical thinking. Then before you can say ‘Social websites harm a child’s brain!’ we’ll all be making highly judgemental knee jerk reactions to every possible scenario, whether we know a single thing about it or not. This would inevitably lead to a catastrophic chain of events whereby most of the UK population would become diehard Daily Mail readers and we’d become a totalitarian police state. id-iom would then have to raise a resistance army made up from the hardy few who experienced a serious case of cognitive dissonance on perusing the Mail. I can only imagine the resulting conflict would be much like the film ‘Red Dawn‘ (the 1984 version not the 2012 version) and we’d eventually rise triumphant in some bleak alternate universe. After a quick bit of internet research it actually turns out that the song is actually about the Spanish Civil War. Apart from that however I’d like to think my imagined story still holds true. If you haven’t read the Daily Mail and generally disklike everything in life then maybe, just maybe, you should give it a go. Anyway, what else was I meant to do with a copy of the Daily Mail? 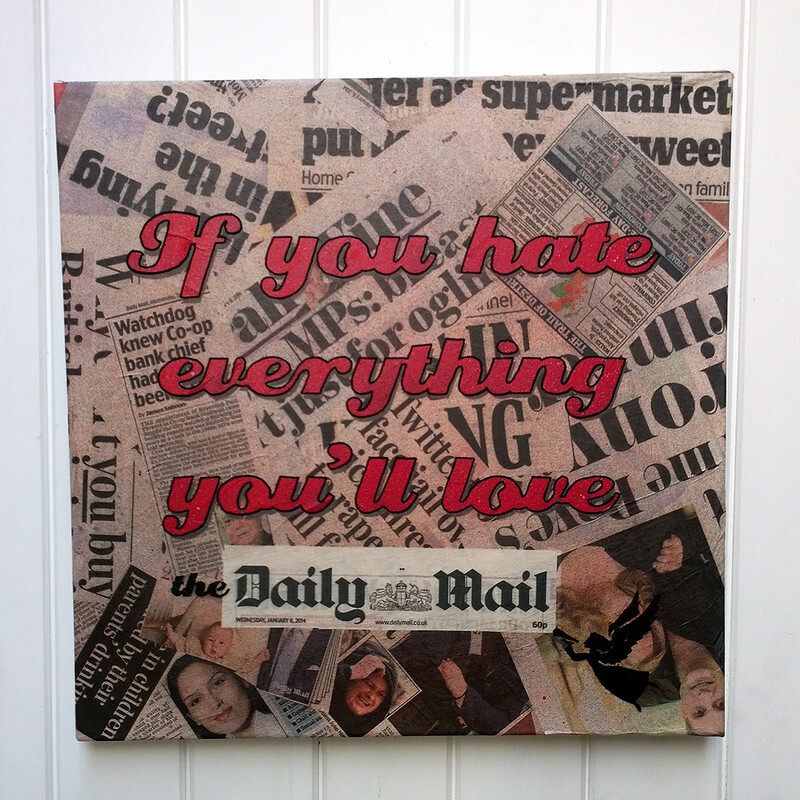 Title: If you hate everything….